One of the many things that Nintendo fans have been asking to see for years is a PokÃ©mon game on a major Nintendo home console. The PokÃ©mon Company has been adamant that the series is best played on Nintendo’s handheld systems, but that hasn’t stopped them from releasing games like PokÃ©mon Snap and PokÃ©mon Colosseum, which is a GameCube title we’d like to see on Wii U. Now, it looks like something similar could be happening, as The PokÃ©mon Company has registered two new trademarks in Europe, named PokkÃ©n Fighters and PokkÃ©n Tournament. 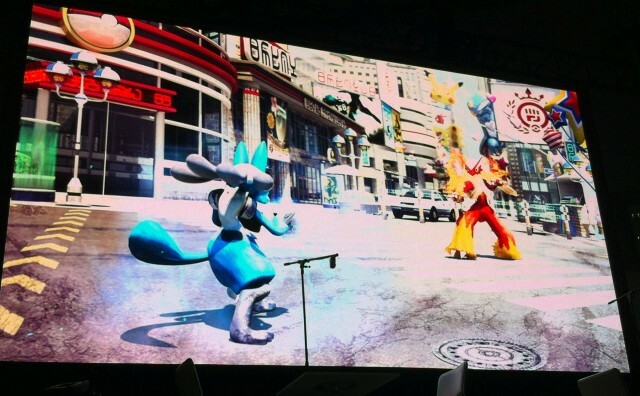 Trademarks for these titles were filed in the US last year, when a rumored image surfaced of Lucario fighting another PokÃ©mon. At the time, The PokÃ©mon Company said the image was merely conceptual, but perhaps it is tied to the trademarks. There’s no clarification about the trademarks, but with E3 around the corner now seems like the best time ever to announce a new PokÃ©mon game, either for Wii U or Nintendo 3DS.